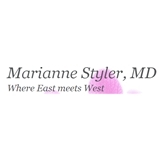 Dr. Marianne Styler (New York) - Book Appointment Online! It is the responsibility of each patient to call insurance to confirm Dr. Styler is in network. The front desk staff was friendly and pleasant. Dr. Styler was great and our consultation didn’t feel rushed. I’m so happy that I found her and will recommend to my friends for sure!